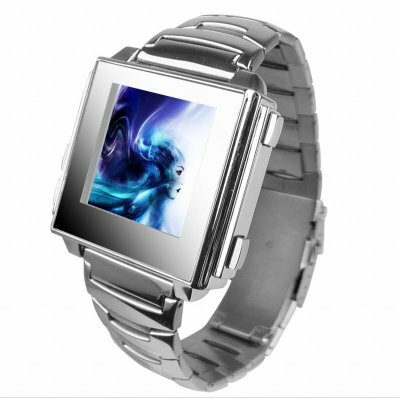 Successfully Added 8GB High Fashion Mens MP4 Watch - 1.5 Inch LCD Screen to your Shopping Cart. It's GQ meets geek chic with this brand new high fashion MP4 watch with a massive 8GB of internal memory and 1.5 inch LCD screen. on 2009-07-09 02:15:38 Great device!!!! A little big! on 2009-01-15 02:55:24 Great little device! Didn't really know what to expect from this but it managed to pleasantly surprise me. It does exactly what it says on the website. The one thing that really stands out is the amazing clarity of the display. Works fine under Windows Vista and the wristband can be adjusted. All in all a fine product. Delivery was prompt and without problems. Makes a great novelty gift!